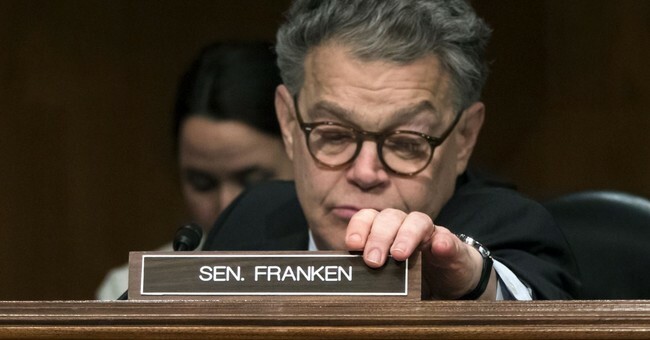 Sen. Al Franken (D-MN) announced on Wednesday that his last day in the Senate will be on January 2nd. Previously, he had announced that he would be resigning from the Senate, but only said "in the coming weeks" and did not give a specific date. The lack of specificity raised rumors that Franken could perhaps "un-resign," but now it appears as though he will actually be leaving the Senate. Franken was accused by eight women of sexual misconduct (mostly groping and unwanted kisses) spanning the last decade. The first woman to accuse Franken, radio host Leeann Tweeden, produced a picture of what looks like Franken groping her breasts while she was asleep. After the seventh and eighth accusers came forward, dozens of Senate Democrats (as well as independent Sens. Angus King and Bernie Sanders) issued statements saying that they thought it would be best for Franken to resign. The day after that onslaught of statements, Franken addressed the Senate and announced that he would be stepping down in the future. In the wake of Franken's resignation (and Republican Roy Moore's subsequent loss in Alabama), some Democrats have turned on their colleagues, saying that they perhaps were too quick to demand Franken resign. Franken was first elected to the Senate in 2008, after a drawn-out recount process against Republican Norm Coleman. He will be replaced by Tina Smith, the current lieutenant governor of Minnesota, who will serve the remainder of Franken's current term, until 2020.